It was a 1980’s political strategist working for George H.W. Bush that coined the phrase... perception is reality. While Lee Atwater gave this concept packaging in helping to elect the 41st President of the United States, politicians throughout history have utilized its premise to seek advantage. In Ron Chernow’s masterful biography, Washington: A Life, the first President’s instinctive application of this political maxim shines forth. From his military strategy of diversion and improvisation during the Revolutionary War… or his resignations from power only to be drawn back to it by duty and ambition… to his habit of mounting a white steed to project strength and majesty before entering a town on official business… or his publicly regal lifestyle hiding struggles with cash flow and debt, Washington was a master of messaging. 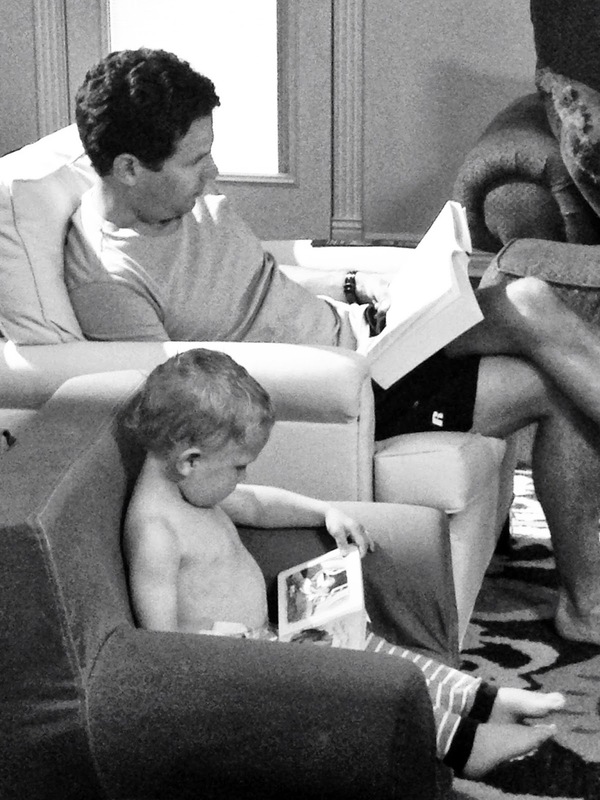 He also thought a great deal about posterity. Compelled by love of country, if not an eye toward reverence, he was meticulous in recording his life and managing his papers. And when it came time to exit the stage, he wanted to leave a lasting impression. 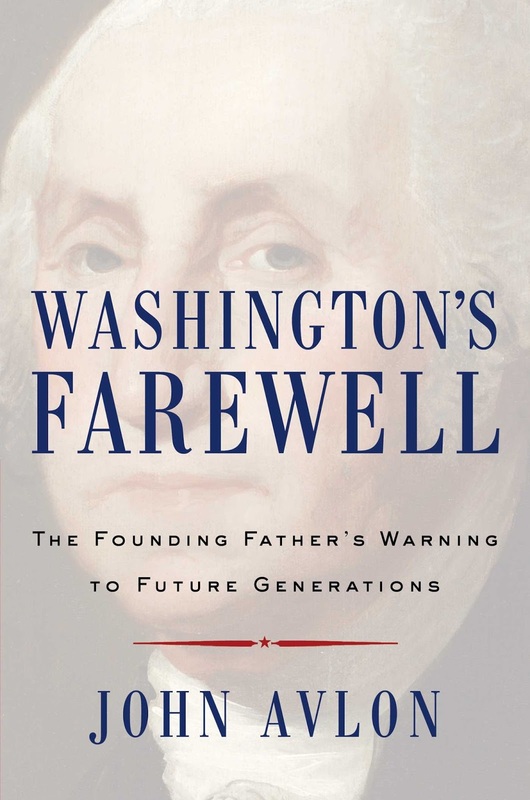 In his new book, Washington’s Farewell: The Founding Father’s Warning to Future Generations, John Avlon adds dimension to the impressions left by the first President through his farewell message and makes the case that Washington still has much to offer to America’s political discourse. 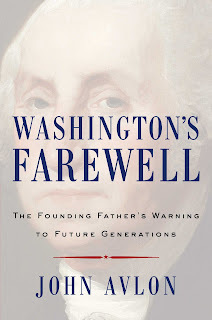 A highly accessible, fast-paced narrative, Washington’s Farewell was an excellent chaser to Chernow’s expansive examination of the President’s life. In unpacking Washington’s 6,000 word treatise on American citizenship, Avlon walks the President’s final message backwards from his time in office, then forward through the 19th and 20th centuries, showing how Washington’s experiences formed his perspectives on self-government and how the farewell has lived on long after its author. Avlon’s readers also discover that the farewell message should not be disaggregated to support narrow propositions, as has often been the case since its publication. Its various components are not built upon mutually exclusive ideas but derive value through interdependence. It should be interpreted holistically to glean the guiding principles upon which the original work was based. In calling for a reconsideration of Washington’s farewell, Avlon is arguing for a need to “reflect on first principles” rather than a return to political or social norms of the day. The first President’s final words on the American experiment, he suggests, can still serve as a broad model for discourse and direction. But you have to take its full measure to minimize the gap between perception and reality and apply its wisdom to the current challenges facing the republic.